I've been saving this video game treat for a while now in order to share it for Easter. 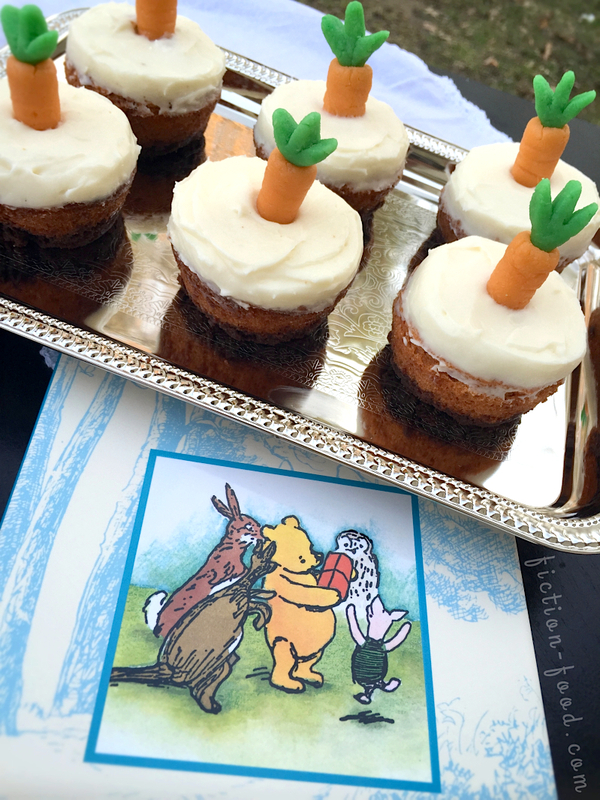 I mean, it's carrot cakes inspired by Rabbit from "Winnie the Pooh"–it's perfect! 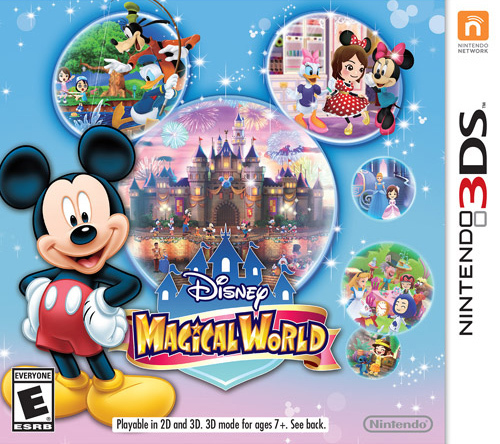 Disney acquired the rights to A.A. Milne's Winnie-the-Pooh series back in 1961 and elements of Disney's adaptations appear in Nintendo's "Disney Magical World" 3DS game in the form of characters, clothing, furniture, food, and a place where you can grow and collect items (including honey, of course!). The Hundred Acre Wood portal is a very cozy place where you can interact with Pooh, Piglet, Tigger, Eyore, Owl, and Rabbit. In fact, it's Rabbit's garden where you can grow a lot of the ingredients necessary for the game. There are several foods you can make with these ingredients in your cafe in Casleton, carrot cakes being one of them. You might remember my first post for the "Disney Magical World" Nintendo 3DS game wherein I shared a recipe for Sleeping Beauty's Princess Tiara Limone along with my thoughts on the game; that I was pleasantly surprised by the amount of content, including food. This is a game that keeps drawing me back in because there's just so much to do, and it's pleasantly fun (I do wish there were more world add-ons though). So I'm sure I'll do another recipe from this game in the future, but for now, please enjoy my interpretation of Rabbit's carrot cakes, adapted from a carrot cake recipe my mom used to make. 1. Crust: Preheat oven to 325ºF. Grease & flour (or use Baker's Joy spray) your cupcake pan. Whisk together the sugar, flour, & cocoa, & then stir in the melted butter until the mixture is moist & comes together. Put about a tablespoon's worth of the crust mixture into each cup & then press it down with the bottom of a 1/4 cup measure &/or your fingers. 2. Carrot Cake: In a large bowl whisk together the dry ingredients & then toss in the shredded carrot. In a separate mixing bowl, mix together the eggs & sugar until creamy. Mix in the applesauce & several drops of orange coloring until combined & the orange is evenly distributed. Pour this mixture into the bowl with the flour & carrots, add in the nuts, & stir until just combined. Scoop the batter into the cupcake pan, leaving about 1/4" space at the top. Slide the pan into the oven & bake for about 30 minutes, or until a toothpick inserted into the center of one of the cupcakes comes out clean. Remove form the oven & let cool for a few minutes, & then use a knife to loosen the cupcakes around the edges. Place a wire cooling rack, inverted, on top of the pan & then flip it all over (pan & rack) so that the rack is now on the bottom. Sit the rack on the counter & tap the cupcake pan so that the cupcakes loosen all the way. Lift the pan away & your cupcakes should now be upside down on the cooling rack. Let them cool completely & then turn them right-side-up. 3. Frosting: In a mixing bowl, beat the cream cheese & butter until fluffy. Slowly beat in the sifted powdered sugar until fully combined & smooth & then mix in the vanilla. Fold in the whipped cream until combined & then spread a thick layer of frosting onto each cupcake, at least 1/4" high. Place the frosted cupcakes into the fridge while you make the marzipan in the next step. Note: This frosting tastes very yummy, but if you're strapped for time, you might want to try Cool Whip's cream cheese frosting, located next to the regular Cool Whip in your grocery store. 4. Marzipan: Combine the almond flour & powdered sugar in a food processor & pulse until no lumps remain (if you don't have a food processor, you can use a mixer). Add the egg white & flavoring & pulse until the mixture comes together in a dough (if it's too sticky, add more sugar or flour). 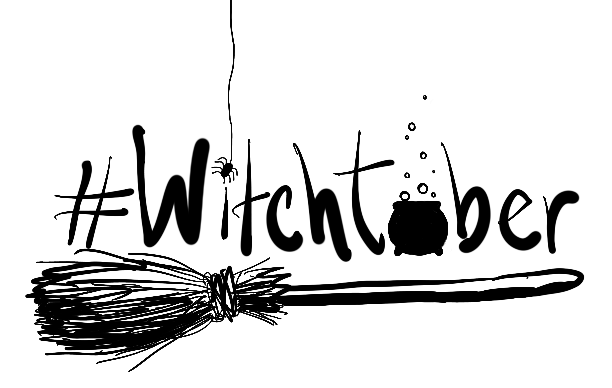 Knead the dough on a flat work surface & then separate in half. Wrap one half tightly in plastic wrap & place in the fridge (this is extra. I would have halved the recipe, but I feel like using half an egg white is kinda silly). Divide the remaining piece of dough into 2 sections, 1 smaller than the other. Knead orange coloring into the larger piece of dough & then green into the smaller. Cover the green dough with plastic wrap. Break off several pieces of orange dough (as many as the number of cupcakes you have) & roll them into carrot shapes about 1" or so long. 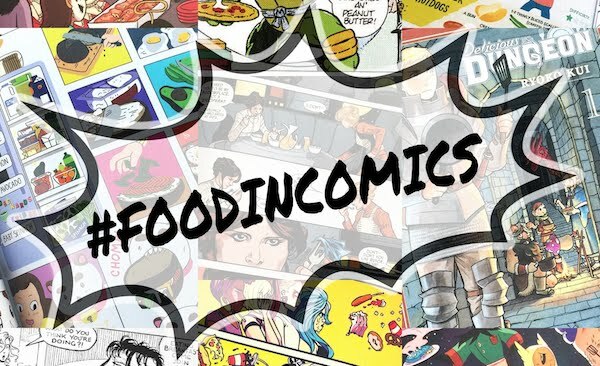 Use a toothpick to press a few horizontal lines around the top of the carrots to give some detail. 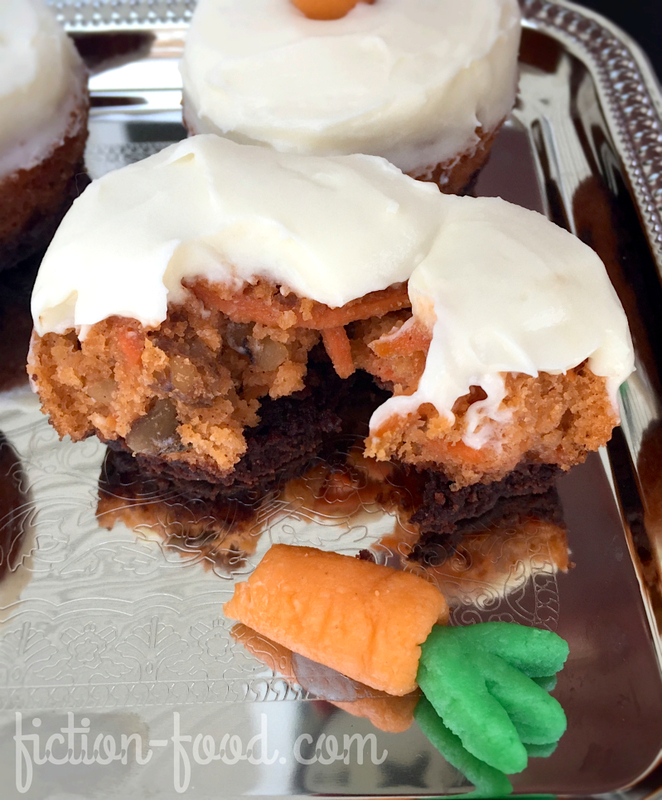 Remove the plastic wrap from the green dough & place it over the carrots. Break off several bits of green & roll/press them to resemble little, 3-leafed carrot tops. To insert the tops into the carrots, use a toothpick or chopstick to carefully create a hole in the top of each carrot, large enough to gently press the green leaf part in. Do this to each carrot & green top pair. 5. Remove the cupcakes form the fridge & use a chopstick to create a hole in the center of each, large enough for marzipan carrot. 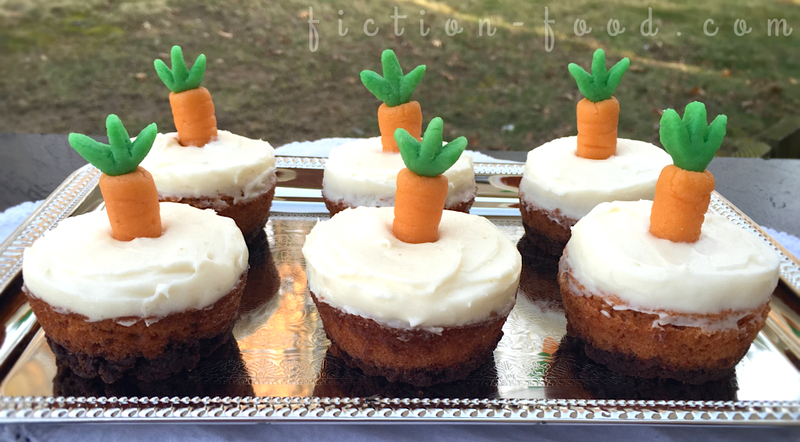 Gently press a carrot into each cupcake, through the frosting, twisting slightly to help it go in. 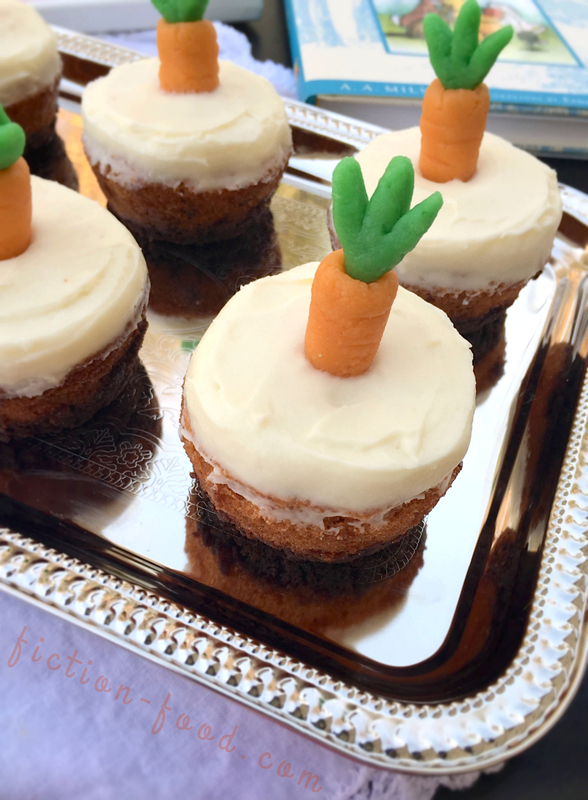 Once each cupcake has a carrot sticking out of the top, you're ready to serve! If you won't be serving right away, put the cupcakes in an airtight container & put in the fridge.